It’s not about the money sings Jesse J. Well yes, actually, it is. The release this week of the General Practice Forward View sounds good, doesn’t it? £2.4bn recurrent investment in general practice, £500m sustainability and transformation package to include a practice resilience programme, redesigning of services and support for collaborative work, a reduction in workload and bureaucracy, an expanded workforce, and a commitment to reduce the regulatory burden of CQC. Sounds great in theory, except that as ever, the devil is in the detail. To get some idea of the context, we have to look at the whole NHS picture. The NHS is expected to deliver £22bn of efficiency savings by 2020/21, yet even Parliament’s own spending watchdog has reported that there is no convincing plan to produce it. Exactly one year ago, George Osborne pledged £8bn to protect his “precious NHS” and no one quite understood how that aligned with efficiency savings. Presumably this £2.4bn will come out of that £8bn and we had already been promised £322m, so suddenly, this £2.4bn looks a bit, well, pathetic really, woefully short of that terrifying £22bn efficiency Sword of Damocles. In 2010, general practice had roughly 12% of the NHS pie (despite providing over 90% of patient interactions). By 2016, this meagre slice had shrivelled to less than 8%. Even assuming the £2.4bn is real and new money, this doesn’t even return us to 2010 levels of investment, despite burgeoning workload, more complex elderly patients, and rocketing infrastructure and logistical costs. And then there’s that thorny issue of “8-8 7/7.” A significant part of the promised funds are predicated on the call to deliver that Holy Grail. Of course “you don’t have to work 8-8 7/7”, but if you don’t, the coffers remain pitifully empty. Can the UK afford this push towards consumerist 24/7 routine care? We already have 24/7 care and it comprises routine in-hours working and excellent out of hours care. Can we afford to bankrupt the system for the convenience of the few? Of course the “successes” are lauded where the 7/7 pilots have been implemented, but the so claimed “positive” experiences reported from our grassroots colleagues in ResilientGP involved in these pilots differ hugely from those reported by the Government. Who should we believe, NHS doctors or spin doctors? Now let’s turn to those 5000 new GPs that are going to rise from the ashes by 2020. Sales of English dictionaries may well improve if we are going to be importing doctors from abroad, but actually might I suggest that they would be better off concentrating on stopping the droves of new doctors leaving the NHS rather than raiding other countries. It’s a sad indictment of Government strategy that prospective GPs would rather up sticks and move, than stay in the country that has trained them. Skill mix is essential in the modern NHS, but is an army of 1000 physicians associates, who have undergone two years of training, really the solution? There are currently 35 working in General Practice in the UK, with no regulation and no career structure. Their input is completely unevaluated; indeed we appear to be relying on information from the US with regards to their use and implementation in the first place and the US Healthcare system is hardly a paragon of cost-effective care. To draw a parallel with the aviation industry, would you be happy to be piloted by a member of the ground crew who had attended a weekend course on how to fly a 747? There is one aspect of this review that will put a spring in primary care’s step: anything that reduces the regulatory burden of the behemoth that is the Care Quality Commission has got to be applauded. But let’s not throw the baby out with the bathwater; this review is a step in the right direction. Trouble is, it feels like micturition in the Mistral. It’s lacking in detail and I’m worried that it has more spin than my washing machine. 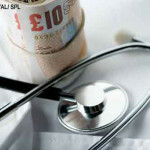 Grassroots GPs are collectively worried that there won’t be a general practice to fund in five years time or at least not one that our patients want and one that is fit for purpose. We need the money now and without strings, so that we can do what we do best; provide high quality healthcare, at great value for money. More surgeries than ever before are closing their doors. This review, if taken at face value, suggests that the juggernaut of general practice disinvestment is finally slowing and possibly turning: is it too late to stop it jack-knifing? Michelle Sinclair is a partner of ResilientGP and has been a full time GP partner in North Hampshire for 18 years.